Prescott with kids is an adventure into Arizona’s past. Designated the capital by President Abraham Lincoln back when Arizona was still just a territory, the city embraces its Wild West history. If you’re picturing desert landscape with lots of prickly saguaro cactus, dusty tumbleweeds, and record-breaking heat, however, think again. Families from today’s capital Phoenix flock to Prescott for a dose of greenery and to escape the summer swelter, or to play in snow in winter. 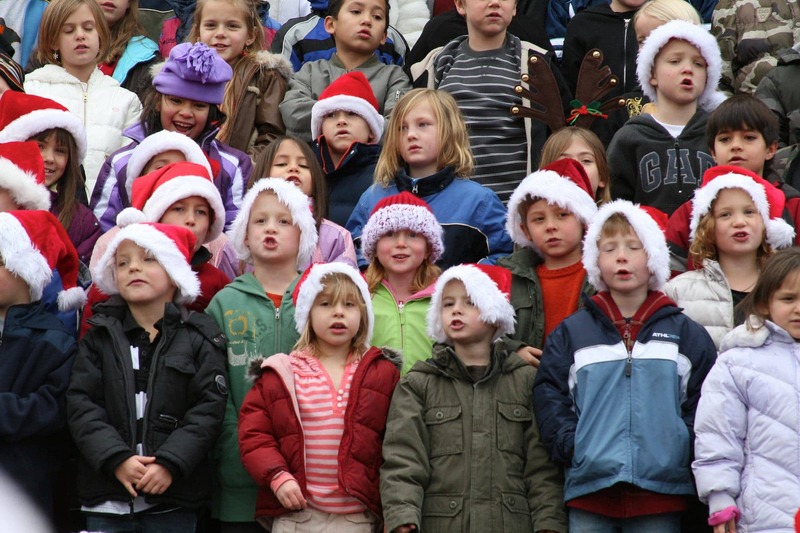 Here’s a look at what to do in Prescott with kids. 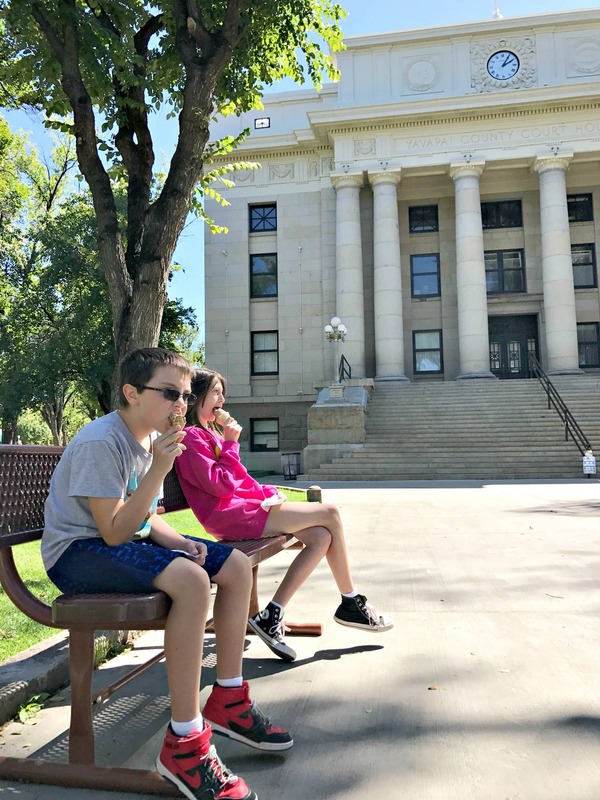 The town’s Mayberry-esque center square is dominated by the impressive Yavapai County Courthouse, which celebrated its 100th birthday in 2016 and is still hearing cases today. With its grassy lawn and mature elm trees, the square provides a meeting place for locals and visitors alike. 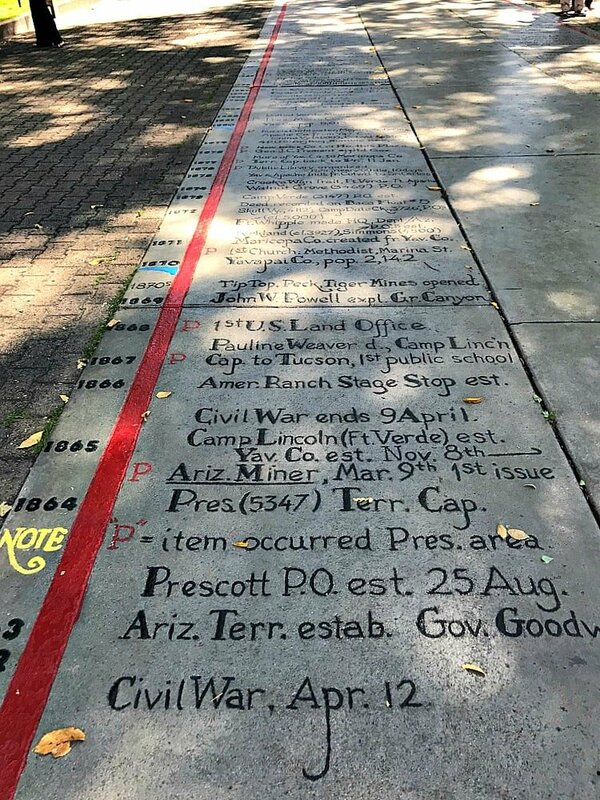 Be sure to read through Prescott’s colorful timeline, imprinted in cement in front of the courthouse. Bring a Frisbee or ball for some playtime with the kids, or just walk the grounds. Most of the shops surrounding the Courthouse Square peddle southwestern art and clothing, as well as more traditional souvenirs. Many of the buildings have been restored. 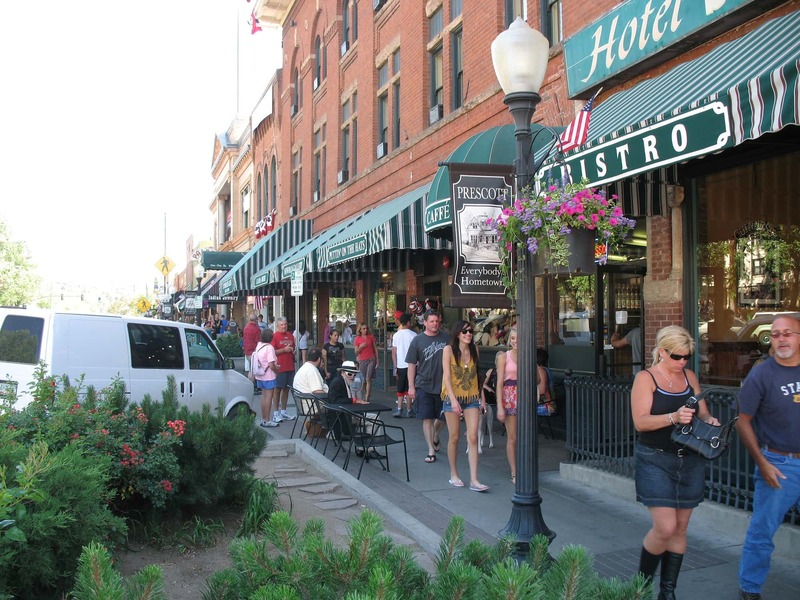 In fact, Prescott is home to over 800 buildings on the National Register of Historic Places. Prescott was once a rough and tumble town of the western frontier with a red light district and saloons aplenty along what’s called Whiskey Row. It runs north and south on Montezuma St. between Gurley and Goodwin St., across from the courthouse. Today you can still get a whiskey drink or two here but the atmosphere is family-friendly. 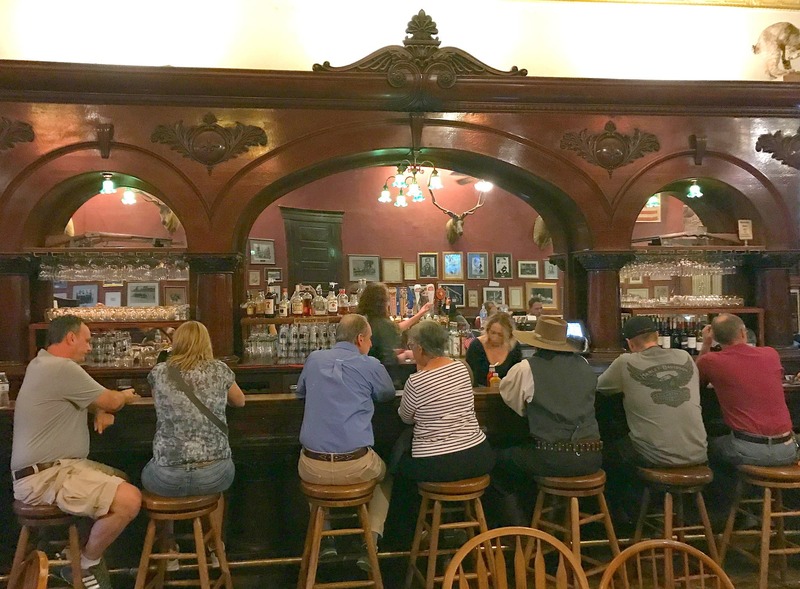 Step back in time with a meal at the Palace Restaurant and Saloon. The Palace first opened in 1877. It burned down in the big fire of 1900 along with the rest of Whiskey Row. Legend has it the townspeople grabbed their drinks and the ornately carved Brunswick Bar so they could continue drinking across the street as they watched the flames consume the buildings. Expect delicious and hearty cowboy fare here like steaks, ribs and burgers. There’s a children’s menu for little buckeroos, too. Kids will especially like walking through the old fashioned swinging saloon doors at the entrance. Located on Whiskey Row, the Treat Center appeals to all ages. 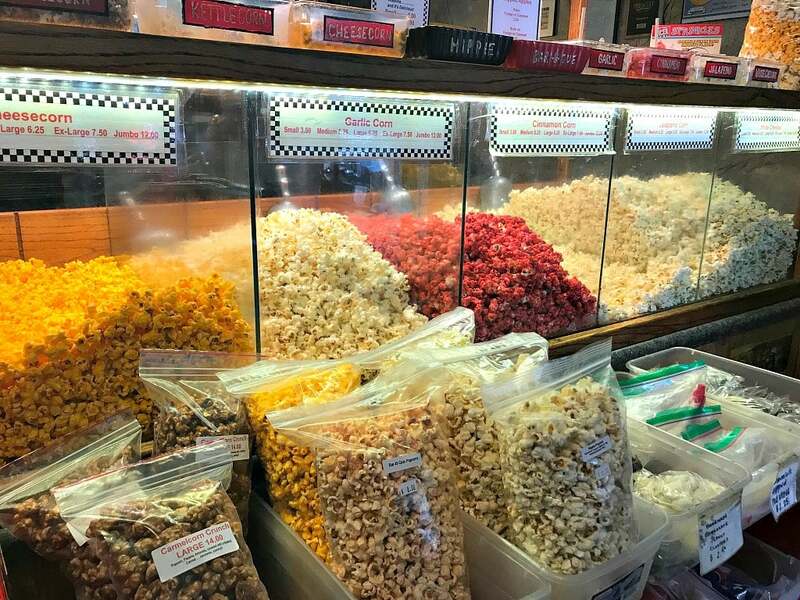 Pop in to peruse candies, ice creams, and free samplings of flavored popcorns. You can even buy a scorpion-filled lollipop as a strange souvenir of your time in Prescott with kids. Named for Prescott pioneer woman Sharlot M. Hall, this museum is a compound of several buildings in the town’s center. It’s located just a couple of blocks from Courthouse Square. Scavenger hunts are offered to children with a prize in the Museum Store upon completion. This definitely kept my kids content and occupied during our visit. 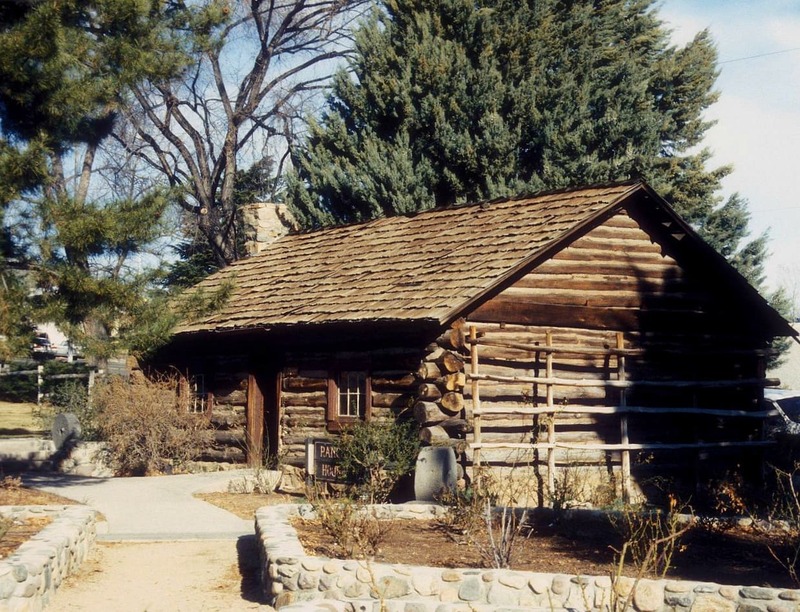 At Sharlot Hall Museum you can walk through the Governor’s Mansion, a log cabin that was built on the site in 1864 and was home to Arizona’s first territorial governor. It’s really only a “mansion” compared to the tents and shanty houses of most residents of the time. Hall moved into the house in 1927 and opened it as a museum the following year. Also onsite is Fremont House, home of the fifth territorial governor of Arizona. It was built just 13 years after the first governor’s house but is a serious upgrade to the original. Be on the lookout for the horsehair-covered chairs and art made from human hair, which was a thing apparently. An old time school house replica, rose garden, exhibits about Yavapai County’s Native American tribes, and more may also be of interest to your family. My husband’s favorite was the Transportation Building, which displays buggies, wagons, and cars of a bygone era. Prescott isn’t just about its sweet downtown, though. While here, you must take in some of Prescott Valley’s beautiful nature offerings. Prescott boasts over 450 hiking trails, some of which start at the Highlands Center for Natural History. My 9-year-old son isn’t usually much of a hiker but during our walk here, he kept declaring things like, “I love it here. I feel really happy.” That really warmed this hike-loving mama’s heart. I highly recommend spending a half-day at Watson Lake during your visit to Prescott with children. 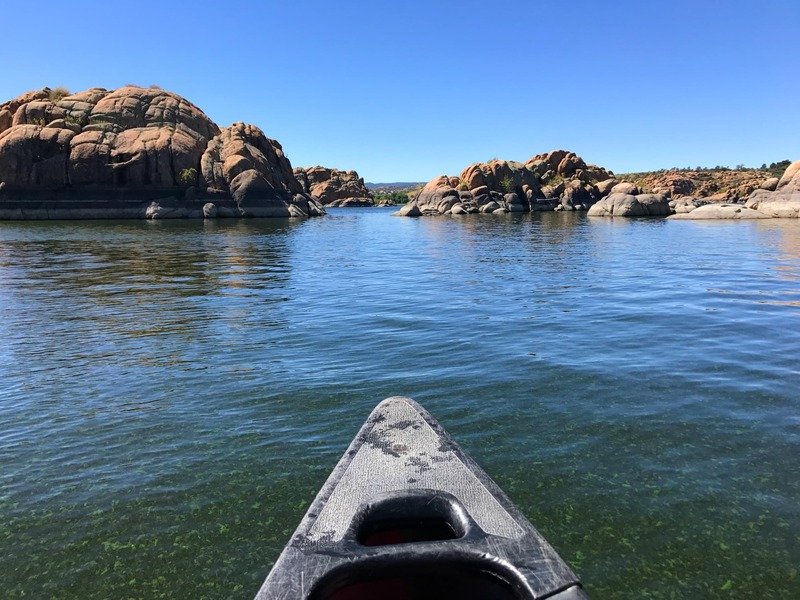 Rent kayaks or canoes from Prescott Outdoors and paddle your way around this beautiful body of water. The massive granite boulders within and surrounding the lake give it an otherworldly feel. If hiking is more your thing, you’ll find some easy trails here as well. If you’d rather paddle on a lake surrounded by tall pine trees and green galore, head to Lynx Lake. You can rent canoes, pedal boats and kayaks there. For a casual lunch with a fabulous view, grab a picnic table bench at Lynx Lake Cafe, Store and Marina. The menu features typical burgers, salads and sandwiches. You can also order German fare like bratwurst or pork schnitzel with traditional German potato salad, as well as apple strudel and German chocolate cake for dessert. Expect to see a lot of desert animals at this wildlife sanctuary like coyotes, javelinas, mountain lions, and bobcats. There are a few animal residents who hail from further away, too, like a Bengal tiger and wallabies. Our family loved the black bear feeding presentation. We even got a chance to pet some constrictor snakes during our visit to the Reptile House. 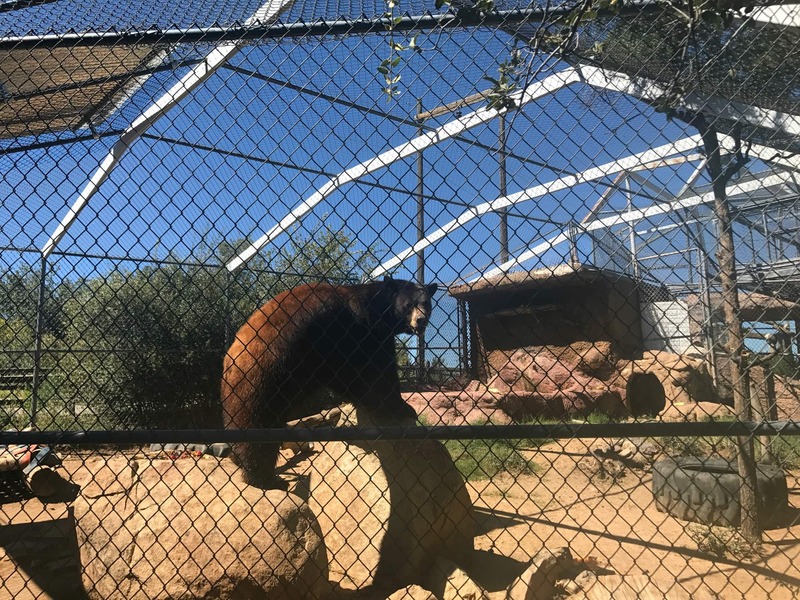 Heritage Park Zoological Sanctuary‘s small size makes this non-profit zoo easy to explore within about two to three hours. 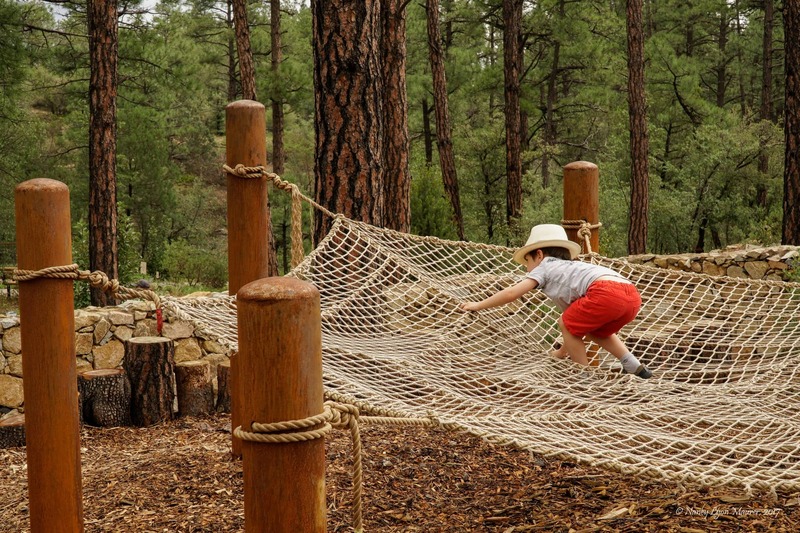 After exploring nature and learning about Prescott’s history, treat children to a trip to Freedom Station Family Fun Center. This play center features a Wild West-themed miniature golf course, arcade games with prizes, laser tag, a climbing wall, and activity play house. There’s also a cafe that serves pizza, salads, and sandwiches. Mom and dad will appreciate wine and beer served on-site, too. 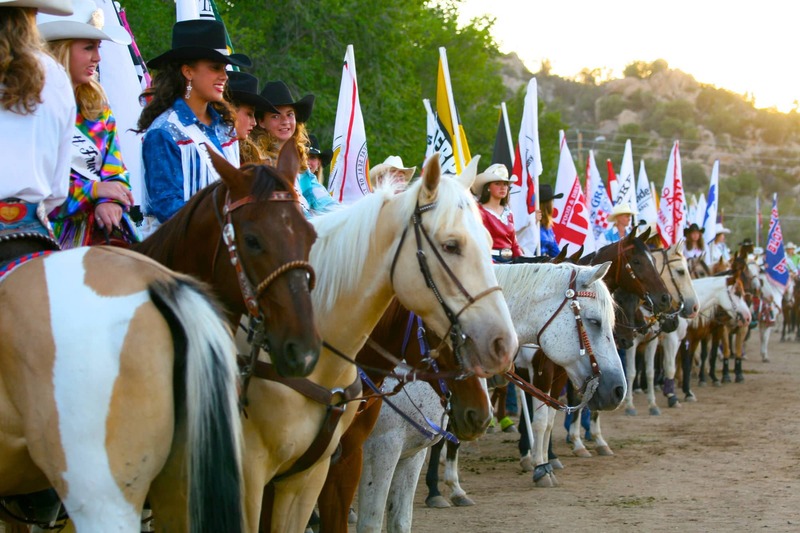 Prescott prides itself on plentiful festivals and activities held throughout the year. On summer weekends, Courthouse Square bustles with live concerts as well as arts and craft shows. Also, the world’s oldest rodeo is held in Prescott over Independence Day each year during the popular Prescott Frontier Days. The self-proclaimed “Arizona’s Christmas City” puts on a big display for the winter holidays. The Holiday Light Parade takes place the Saturday following Thanksgiving each year. Glowing floats, pets and people make their way through Prescott. The parade concludes when Santa’s float arrives at the Courthouse for the annual tree lighting. Sharlot Hall Museum also hosts a Frontier Christmas Open House with hot cider and homemade cookies served by a roaring fire. And then there’s the World’s Largest Gingerbread Village, where you can view 100+ gingerbread houses. See Prescott’s calendar of events for dates and to learn about additional Prescott happenings. Although technically not in Prescott, Mortimer Farms makes a fun pitstop on your way from Phoenix. 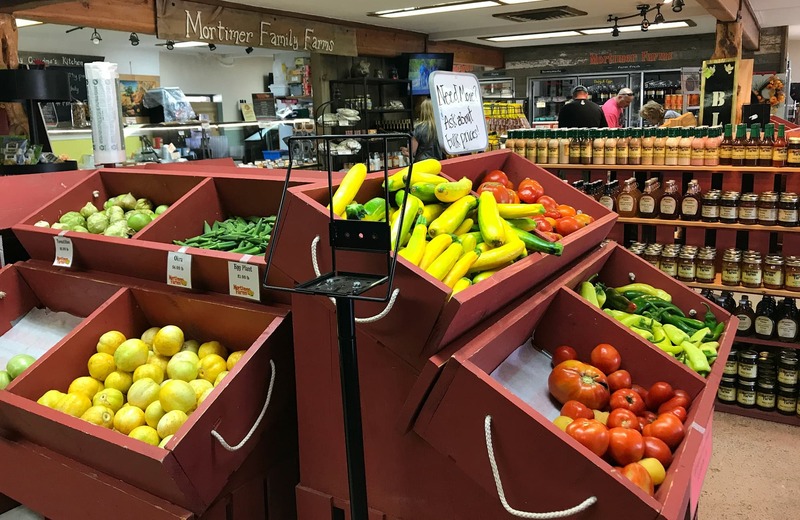 Located in Dewey (a little over 30 minutes from Prescott), the farm has an impressive country store with all sorts of fruit jams, pickled veggies, homemade sandwiches and baked goods, and colorful fresh produce. Starting in July each summer, Mortimer’s offers you-pick strawberries. In October, their Pumpkin Festival features a huge pumpkin patch plus a 15-acre corn maze. There are special offerings for Easter and Christmas, too. Year-round, for a small entrance fee, young children will get a kick out of Farm Park. This play area includes a petting zoo, tractor tire playground and other unplugged play. If you’re looking for extra space and included breakfast during your stay in Prescott with kids (and who isn’t?! ), I recommend Residence Inn by Marriott Prescott. If you can afford it, do as my family did and stay in the two-bedroom suite. It includes a living room with pull-out sofa plus two bedrooms, each with a queen-sized bed. We felt quite at home here. The best part is their outdoor space, including a pool and hot tub as well as barbecue and fire pits. This hotel tends to attract business travelers during the weeks, making weekends available for families. It’s about an eight-minute drive to downtown Prescott from here. Read reviews and book your stay through TripAdvisor. For families wanting to stay closer to the action, choose sister property, Springhill Suites Prescott. It’s just a couple of blocks from Courthouse Square and offers both studio suites and one-bedroom suites. Ever since I visited Prescott with my family when I was a kid, I have wanted to stay at the Hassayampa Inn. This restored 1927 boutique hotel is probably best for a romantic getaway without kids since rooms are small due to its age. But, you should definitely make reservations for a meal in their Peacock Dining Room (no kids’ menus but children are welcome). Or you can just swing by to check out their grand old fashioned hotel lobby while in town. 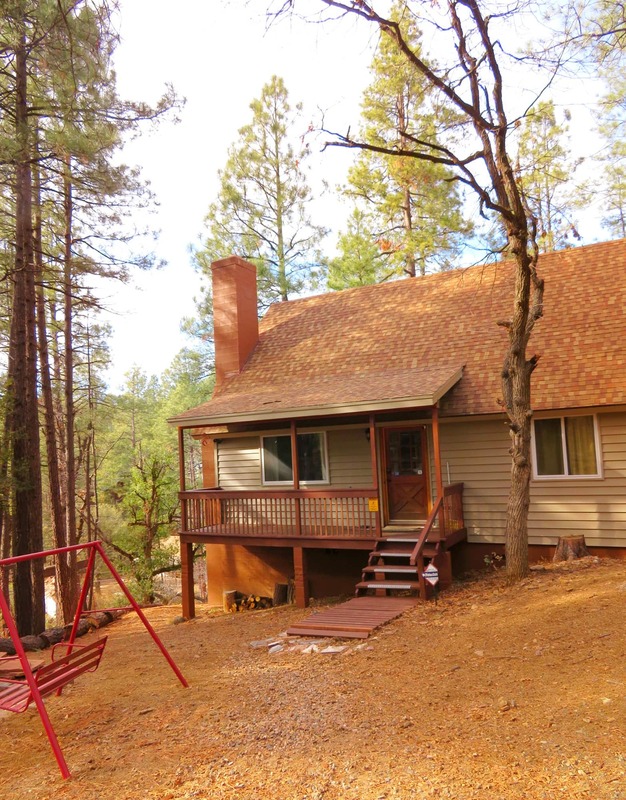 During another visit to Prescott with kids, we booked a vacation rental home through HomeAway. We wanted a comfortable but not fancy cabin in the woods with at least three bedrooms. That’s just what we found at a property within Prescott National Forest, located about 15 minutes from downtown. There are many rental options to choose from for families wanting to visit Prescott. 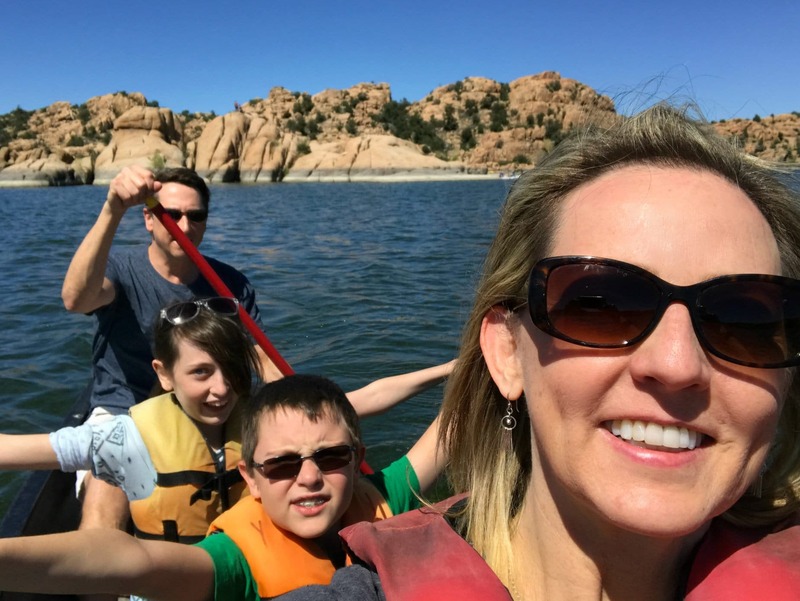 Now…I’ve got to plan a another trip to Prescott, maybe this time without the kids! Are you planning a trip to Arizona? Check out our tips for exploring the Grand Canyon with kids. Have you ever visited Prescott with kids or without? Share your questions or comments below! 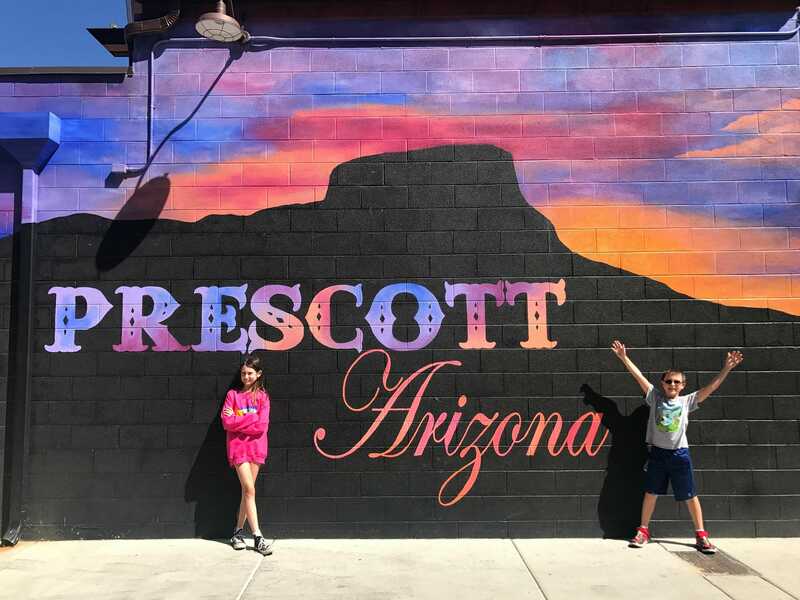 A Note from The Travel Mama: Thank you to Residence Inn by Marriott Prescott and Visit Prescott for hosting a portion of one of our visits to Prescott with kids. I did not receive any monetary compensation related to this story. Ha! yes, we DO have lakes in Arizona. All of them are manmade besides two, Mormon Lake and Stoneman Lake. My husband and I with our kiddos with up there a couple years ago and we just went out to eat. I had no idea they have so many other things going on. I definitely need to go back there. Oh yes! 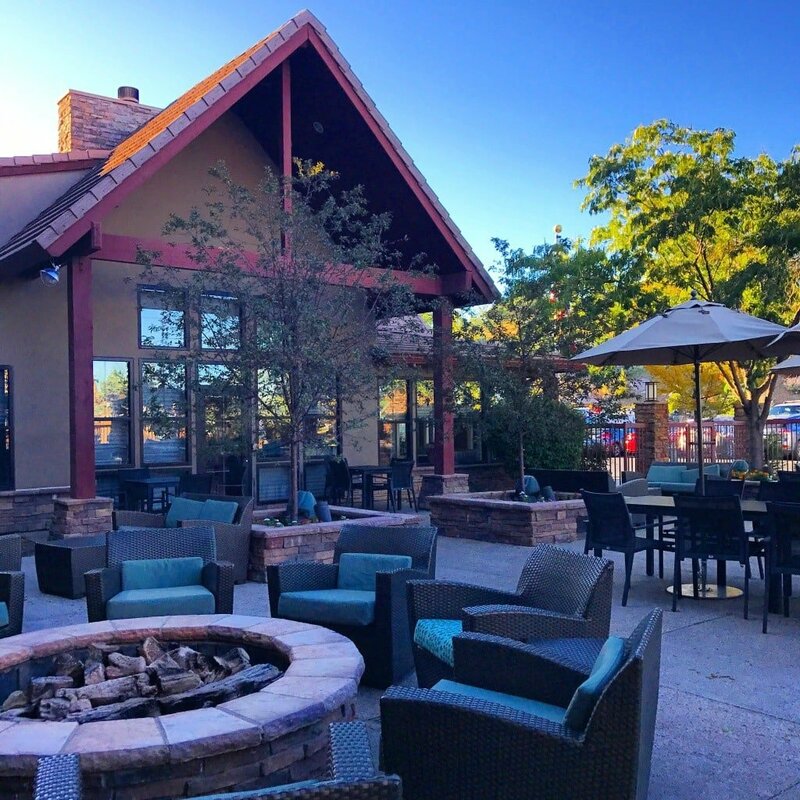 There’s so much more to do than go out to eat in Prescott, though that’s fun too! I have always wanted to go to Arizona. Prescott looks like a great place to go explore. Looks like they have something to do for everyone. A Phoenix/Prescott/Grand Canyon trip would be so fun! Because I am such a foodie, that popcorn really catches my eyes. I had no idea it could come in so many flavors! Yum! I tried a few of them – delish! Wow, Prescott seems like so much fun. I’d bring my family along and do some exploring in places like Whiskey Row! Now this looks just like my kind of place! I love to travel to places with plenty to see, a great history, and great food. This seems to fit the bill. 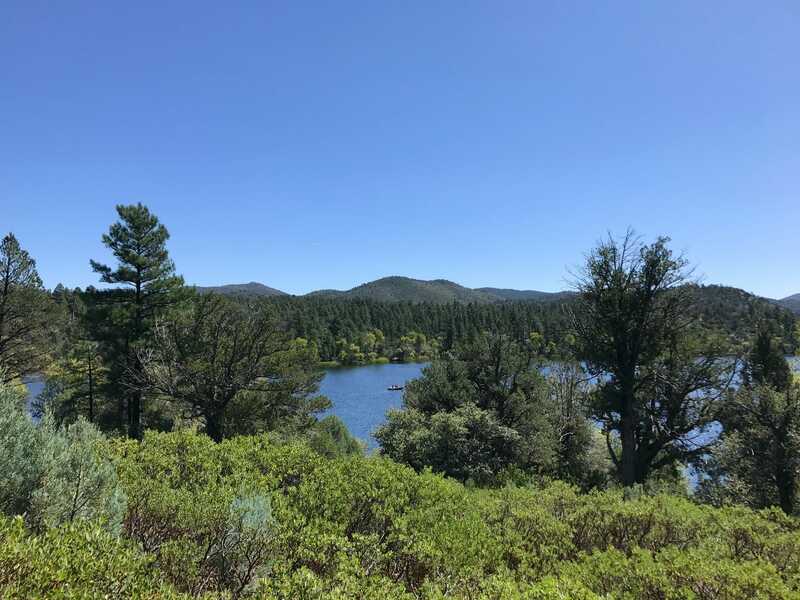 There really is so much to explore in Prescott. I hope you can come out for a visit! This looks like such a family friendly place to visit with plenty to do for everyone. I’d love to check it out. I hope you can come for a visit – Prescott is such a unique AZ town! Prescott looks like such a family friendly place to visit! I think the Heritage Park Zoological Sanctuary looks like a great time. Whiskey Row sounds intriguing too! I have family in Prescott, so I’ve visited this charming Western hamlet in the mountains north of Phoenix multiple times. Your pictures capture its essence well, and I can’t wait to go back again — I love this town! I can’t wait to go back to Prescott either! What a great trip to do with the kids! 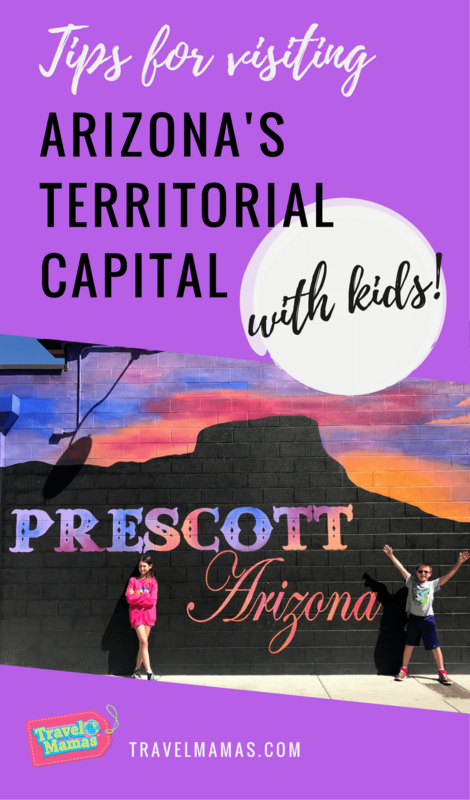 I’ve been to Arizona without kids but would love for them to experience it too! We love, love, love Prescott. The courthouse square is absolutely beautiful. It’s so small town USA – picture perfect! We’ve never been to Arizona but it sure does look like a great place to visit. We’ll have to put AZ on our travel bucket list. Arizona is DEFINITELY bucket list worthy! I have never been to Prescott, Arizona but it looks like a great place to visit. There is so much to do I wouldn’t know where to start. I have the absolute best memories of visiting Arizona as a kid! I have been telling my family that this is going to be our next vacation and I would love to see so much there with them. 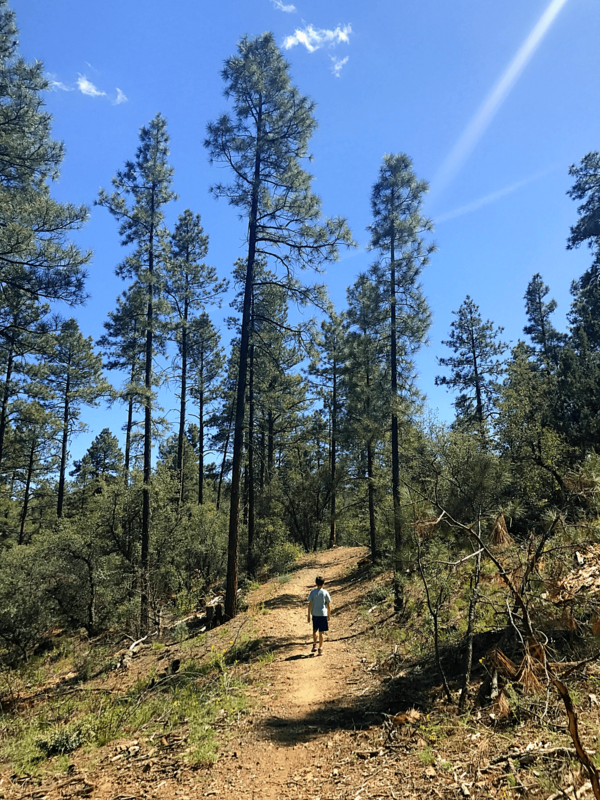 Allison – Arizona really is a unique state with so much to explore. I hope you can convince your family to plan a visit! Thank you for your blog! It made me excited to see that there are family friendly activities in prescott. we are looking to move to the area but I was hesitant that it was only a retirement community and not much to do for a 4 year old. Can’t wait to see it in person! How are the snakes up there? Hi Mariah – We didn’t see any snakes in Prescott. Apparently, there are rattlesnakes as well as harmless snakes there, though. We’ve lived in Scottsdale for 3.5 years & I hike/jog a lot but have only seen 2 rattlesnakes – one alive (and mellow…I stayed far away) and one HUGE dead guy (apparently hit by a car). They want to see you about as much as you want to see them, so I wouldn’t spend too much time worrying about it. Good luck with your move to Prescott! So glad you had a good time in Prescott! And thanks much for sharing the tip about Constellation Trails – we’ll have to keep this in mind for the next time we go for a visit. Where is the mural of Prescott located in downtown? Hi Annie – I believe it’s in the alleyway behind Whisky Row. I wish I’d paid closer attention so I could give you exact coordinates. But, we have stumbled across this mural during both of our Prescott visits, so hopefully you will too!